Richard E. “Rick” Miller, 60, of Petrolia, passed away Monday, January 21, 2019, at Butler Memorial Hospital following a brief illness. Richard was born in Butler on December 28, 1958. He was the son of the late Richard T. and Margaret L. McElravy Miller. He was a 1976 graduate of Karns City Area High School and worked out of the Teamsters Union as a truck mechanic and carpenter until his retirement in 1996. Rick was of the Methodist Faith. He enjoyed fishing and hunting, especially muzzleloader, and feeding the deer. 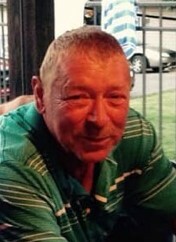 He was an avid Pittsburgh sports fan and enjoyed watching the games with his family. He most especially enjoyed the company of his grand kids. He is survived by his wife, Pamela E. Moore Miller, whom he married in Karns City on May 20, 1978. Also surviving are two sons, Matthew P. Miller of Fairview and Mark E. Miller of Karns City; two grandchildren, Hayden C. Miller and Mia Grace Miller; two brothers, Gary T. Miller and his wife, Pam, of Chicora, and David B. Miller and his wife, Diane, of Karns City; two sisters, Connie D. Wilson of Chicora and Lisa Crawford and her husband, Brian, of Tennessee; his mother-in-law, Margaret Moore of Butler; a sister-in-law, Gloria Bromley and her husband, Carl, of Petrolia, as well as a number of nieces, nephews, and cousins. In addition to his parents, he was preceded in death by his father-in-law, Kenneth Moore, and a brother-in-law, Terry Moore. A memorial service will be held at 11:00 a.m. on Friday at the Karns City United Methodist Church with the Rev. Jim Lewis, church pastor, and Rev. Dennis Barger, pastor of the Scrubgrass Stone Church in Emlenton, officiating. Memorial contributions in Mr. Miller’s name may be made to Karns City United Methodist Church, PO Box 89, Karns City, PA 16041. Arrangements are under the direction of the Hile Funeral Home of Karns City. For more information or to send a condolence, please visit www.hilefh.com.